Knowing where to start and being able to break it down into digestible, bite-sized chunks is tremendously helpful, as is being armed with reliable recommendations to guide you in the right direction. The three basic principles of design – function, mood and personality – provide a useful starting place when it comes to making detailed choices around each element. The elements that go into creating a harmonious interior scheme are long and varied, including: interior layout, flooring, wallcoverings, paint colours, textiles, fixtures and fittings, joinery, furniture, and, of course, the all-important finishing touches that soften the edges, like plants, art and collectibles. But, before you dive in the deep end, it’s crucial to recognise and explore your own personal taste. This way, when it comes time to begin enlisting the help of the professionals or when you embark on your project independently, you will have a clear vision of what you want to create. Gathering ideas and inspiration is the first step. Draw on your own personal interests to spark your creativity. If you love dining out, for example, cafes and restaurants provide tremendous fodder to fertilise your imagination. Once you’ve got a handle on what fires you up, the next step is to consider how you live and what you want your home to give you. While form is important from an aesthetic point of view, ultimately it is function that ought to drive decisions around the more practical aspects. However, real success on the home front is when there is a perfect synergy between the two. This is where enlisting the experts can save you time and often money in the long run – when their years of experience and arsenal of industry knowledge pays dividends. If you’re embarking on a renovation project or building from the ground up, calling on the expertise of a spatial designer or interior architect will pave the way for a successful outcome that will reflect your own unique style, while making your home the safe retreat from the world that we all long for. Maximising the functionality of your wardrobe space is effortless with the extensive product range and expert advice available from Simply Wardrobes. This Christchurch-based company provides the total package. From design, quote and supply, to full installation, their showroom features a full range of wardrobe displays so you can easily envisage what your new wardrobe will look like and how it will function. Simply Wardrobes offers three options to accommodate any budget, from the popular I-Robe system that fits behind doors or can be used as a walk-in wardrobe, to the more opulent Cabinet system made exclusively for walk-in wardrobes, and the Pole system for that minimalistic aluminium railing wardrobe. Plus, they have free-standing wardrobes, which are ideal for homes without built-in storage. Organising your linen is easy too, with Simply Wardrobes' exclusive linen storage system that is robust and simple to install, with custom-made sliding doors in a wide variety of finishes to choose from. Showroom guests receive a free measure and quote and a private consultation to discuss the best options to suit their individual needs. For customers wishing to complete the installation themselves, Simply Wardrobes can supply ready-made wardrobes (excluding doors) within three working days. For wardrobe systems and doors that are of superior quality that's affordable, visit Canterbury’s top wardrobe specialists at 381 Brougham Street. Offering a wide range of beautiful tiles from Spain and Italy, MO Tiles is a boutique tile store offering bespoke solutions. 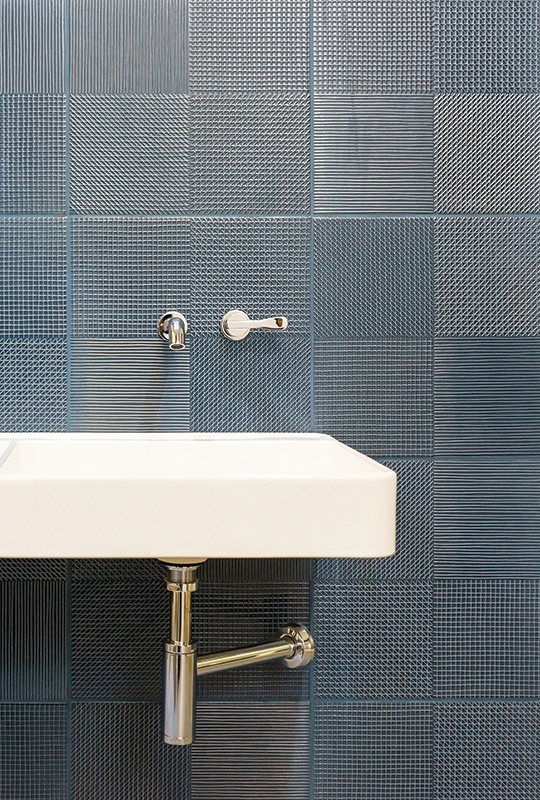 Because such exceptional tiles deserve an immaculate finish, MO Tiles project manage each job to ensure a quality result. Taking meticulous care in their application, which is finished by hand, their qualified team take great pride in a job well executed. Create a home to love at Corso Merivale. Right in the heart of Merivale’s boutique shopping precinct on Aikmans Road, Corso offers quality homewares and lifestyle pieces you’ll treasure for a lifetime. Add a touch of luxury with stylish cushions, throws, rugs, mirrors, lamps, glassware and ceramics. With a distinctly European flavour, Corso’s curated collection is made up of internationally recognised brands such as Missoni Home, Seletti, Bassike, Menu and Alessi, alongside home-grown designers and unique antique occasional furniture to help you create a home with heart. Fabric House is the place to go for a wide selection of quality European textiles for the home. Manager Niki Smith personally selects fabric according to customer demand, and offers a ‘take home’ service where customers can borrow three-metre lengths of fabric to experiment with at home by draping them over furniture and against windows. For quality drapery and upholstery fabric that includes oilcloth, sheers and a wide range of linens at wholesale prices, visit Fabric House – relocating to their new location at The Tannery in June.